Pep Guardiola feels for rival Jose Mourinho, believing he is only a bad run of results away from facing the same criticism as the Manchester United manager. 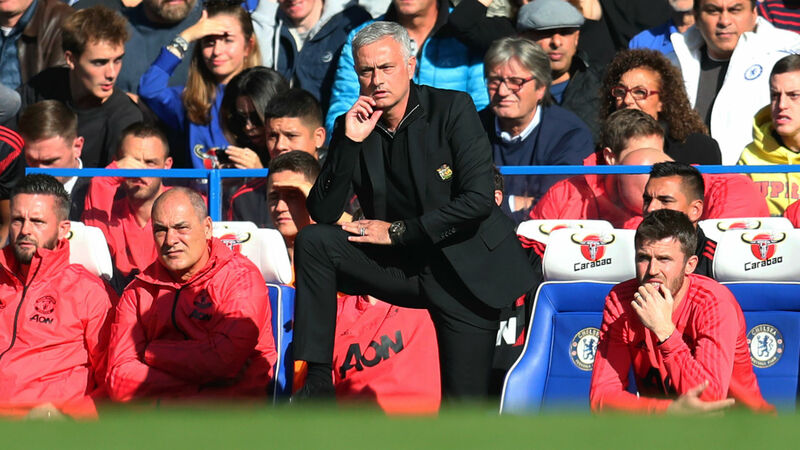 United endured a difficult start to the new season and, prior to a recent strong run, were marooned in mid-table in the Premier League, with speculation building that Mourinho would be sacked. Although Manchester City are flying high once again in their title defence, boss Guardiola believes the two clubs face similar pressures. The two go head to head in Sunday's Manchester derby, with the City boss keen to win but not enjoying Mourinho's struggles. "I admire not just Jose but all the managers, especially when they are in those tough problems," Guardiola told reporters. "The situation Jose lives is the same period I have lived in the past myself and, when it's going bad, I will be in the same position. "I want to beat all the managers - we are not friends with all the managers, it's not necessary to be friends - but I am in the same position when they suffer. I know I will be there sooner or later. "I especially admire the managers when they react in the tough moments, when you lose games." He added: "Both [United and City] are similar. The expectation of all of us is so high so, without a win, always we fail, always. You have to win all the titles we play for, otherwise it happens. We are quite similar in that situation. "When he reacts and still stands up and keeps going and going, in football, in sport, you always have another chance, another opportunity, the next day. "If you are stable and you know exactly what you have to do, always the success and the good games are coming. Always - and especially in good clubs. "Jose and myself have had luck: we have had success because both of us have had exceptional players in exceptional clubs, that's why we won a lot of prizes. That is the reason why."